Order the Roofers Kit 60 - Tradesman Entry Level Safety Harness Roofing Kit. Unbeatable prices on PPE and Height Safety products. Roof safety kit 60 is designed by industry professionals and tested in the field to meet the day to day requirements of roof workers. All components have been carefully selected for durability and quality ensuring longevity of service while keeping budgets in check. 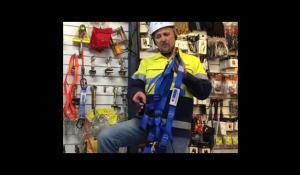 Roof safety kit 60 conforms to Australian Standards AS1891-Series. * Videos attached are for illustration purposes only and not what's in this kit.